Paul Einbund, sommelier and owner of The Morris in San Francisco, is serious about Chartreuse. He’s visited the distillery where Carthusian monks craft Chartreuse according to a centuries-old secret recipe; he even has a few bottles tattooed on his forearm. His wine list offers an entire page of by-the-ounce pours of rare versions of the aromatic herbal liqueur, including vintage-dated bottlings made for the Santa Tecla festival in Tarragona, Spain (where, for a time, the digestif was produced), and assorted finds hand-carried from Europe that date back as far as 1940. While all spirits change over time in the bottle, Einbund argues that Chartreuse is “absolutely the best spirit to age,” and that nothing other than wine develops as dramatically as Chartreuse as years pass. But Chartreuse isn’t just a subject of study for the sommelier. It’s also pure fun, destined for blenders when the weather gets warm. 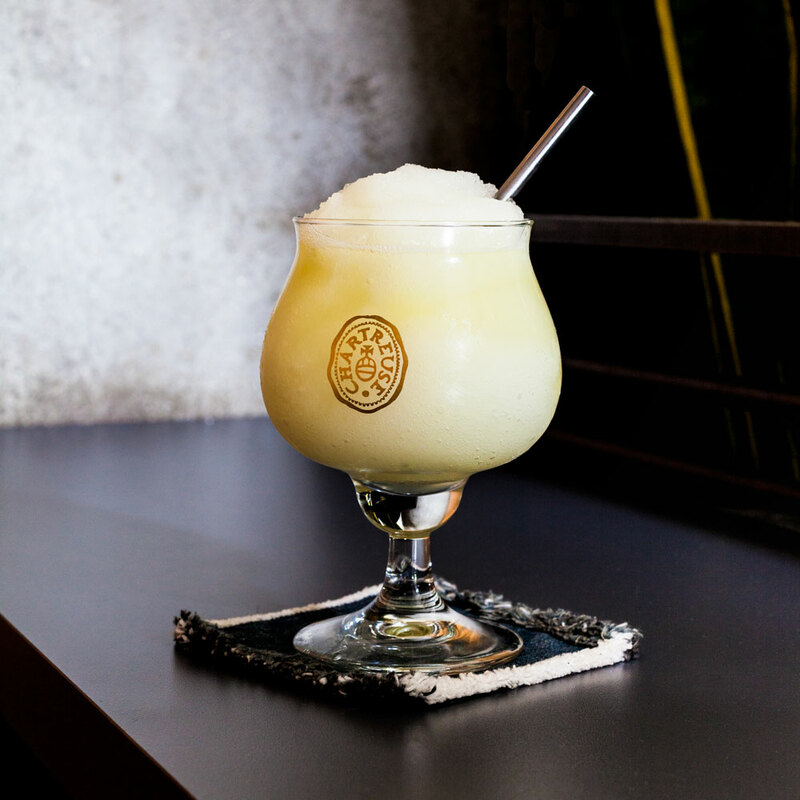 “There could be no better beverage on a hot day than the Chartreuse Slushy,” Einbund says. Inspired by the Mamadeta, a mix of lemonade slush and Chartreuse served in plastic cups at the Santa Tecla festival, Einbund decided to whip up his own version to headline The Morris’s cocktail menu. After many rounds of test batches for neighbors and friends, he settled on a concoction of extra-tart lemonade, with added richness from a dollop of palm sugar syrup, whirred with ice and herbal Chartreuse in a Vitamix until velvety and smooth. It’s bright and softly herbal, not too strong and not too sweet. Bring on the heat wave. This frozen drink gets richness and complexity of flavor from a dollop of palm sugar syrup; at The Morris, they use CTF brand, which comes in hard blocks. At home, it’s easier to work with loose coconut sugar, which is available at many natural foods stores, or turbinado or demerara sugar. Can’t find any of these? A 1:1 syrup with granulated white sugar will work too. 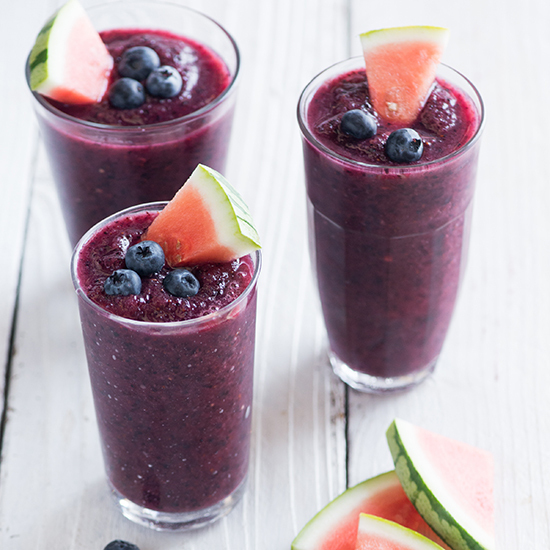 If it’s a particularly hot day and your blender isn’t high-powered, you may want to add additional ice to up the slushy’s frosty staying power. Makes two slushies. 1. Make the clear simple syrup: In a resealable jar, mix equal parts boiling water and granulated sugar and seal well. Shake until sugar is completely dissolved, then refrigerate. 2. Mix equal parts boiling water and loose coconut sugar in a resealable jar and seal well. Shake until sugar is completely dissolved, then refrigerate. 3. When clear simple syrup has chilled, up to 12 hours before serving, make the lemonade: Mix measured lemon juice and simple syrup. Taste and adjust if necessary, adding more lemon juice or simple syrup as desired; final quantity will depend on the tartness of your lemons. You want the mix to be puckeringly sour—just nearly sweet enough to drink. Chill lemonade up to 12 hours; extra simple syrup can be refrigerated up to 2 weeks. 4. When ready to serve, add measured lemonade, coconut sugar syrup, and Green Chartreuse to a blender. Add ice and blend until uniform, then divide between two 10-ounce glasses.